More than 100 principals from selective high schools across the country are gathered at a conference here to strategize about how to get more high-achieving, low-income students into their specialized programs and persist in college and careers. Among the schools represented were magnet schools for math and science, aerospace engineering, and architecture, as well as academies for arts and humanities, performing arts, and Asian studies. Many are located in urban centers, such as New York and Atlanta, while others are early-college high schools on campuses in small college towns. The group was invited by the Jack Kent Cooke Foundation, which is hoping to attract more students to apply for its $40,000 a year scholarships through the event. 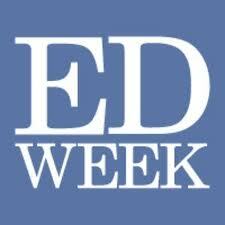 The foundation also supports coverage of the experiences of low-income, high-achieving students in Education Week. The first-ever gathering of these administrators also was designed to inspire participation in a new coalition to advocate for disadvantaged students and recruit more of them into selective high schools, along with supports to stay on track. Harold Levy, the executive director of the foundation, kicked off the two-day convening Feb. 5, telling the audience they were a “potentially powerful group” and highlighted the need to close the excellence gap, where rich students are more likely to make it than gifted poor kids. A lack of money and information means too many low-income students never apply to college or go to schools that are a good match for their high abilities, he said. Participants were given packets of research to help make the case. Levy believes more data is needed to better see how many disadvantaged students are in highly selective high schools and persist in college. Supporters say a new coalition is needed now, as a flurry of new education proposals is being discussed with the new Congress and amid reauthorization of the Elementary and Secondary Education Act. The foundation unveiled the Coalition of Leaders for Advanced Student Success (CLASS), co-chaired by Todd Mann, the executive director of the Magnet Schools of America and the National Consortium of Secondary STEM Schools, and Crystal Bonds, the president of the National Consortium of Secondary STEM Schools and the principal of the High School for Math, Science & Engineering at City College in New York. The two leaders introduced a steering committee and said it would advocate on behalf of high-achieving, low-income students and push to establish a pipeline to college and industry for these students. Valeri Thompson, of Bard High School Early College in the Queens borough of New York, said she embraced the idea of advocating for policy changes as a group to get more disadvantaged students into selective schools. For instance, she would favor requirements for schools to admit as many low-income students as live in their district. Outreach is also needed in middle school to make families aware of the opportunities at magnet schools, added Melody Kellogg, the principal of Emma Lazarus High School for English Language Scholars in New York. Johnny Bush, an administrator at Robinson High School, which offers International Baccalaureate programs and an aeronautical academy in Tampa, Fla., said magnet programs tend to get kids from higher socioeconomic families and low-income students get left out. The problem can be traced to elementary school, where the achievement gaps exist and only grow by the time many reach high school, he said.